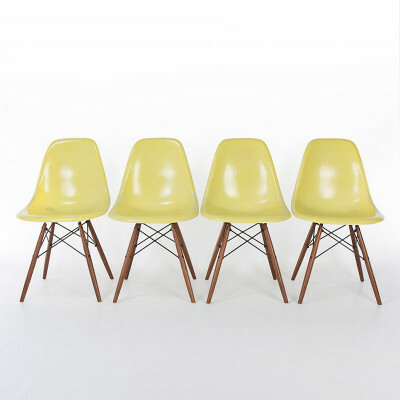 What was the Eames DSW & PSW Side Chairs? 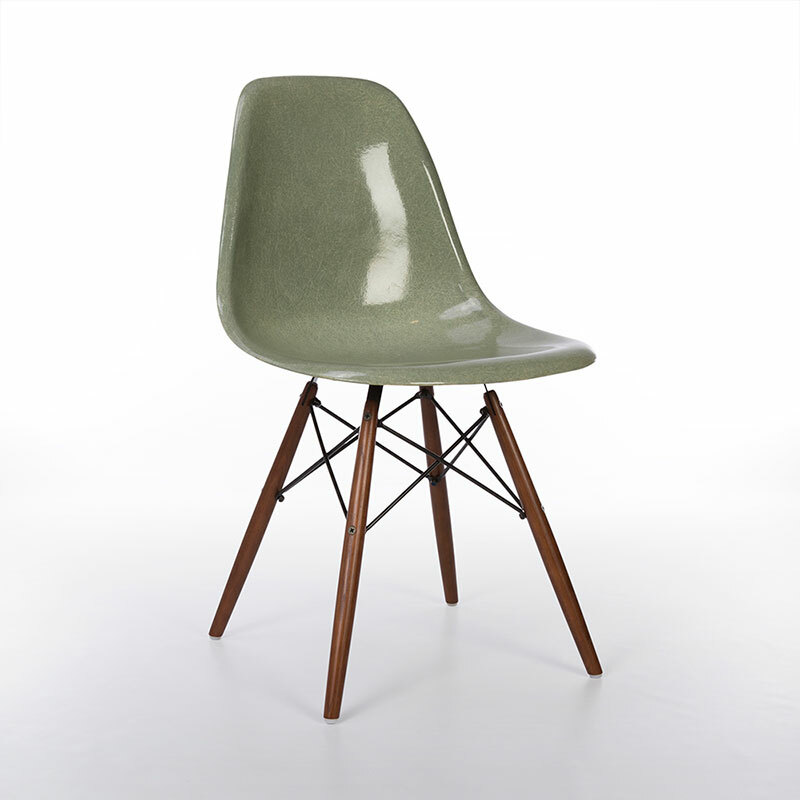 From the molded plastic fiberglass series, the abbreviated Eames DSW chair stands for Dining (D) height, Side (S) chair, on Wood (W) base. 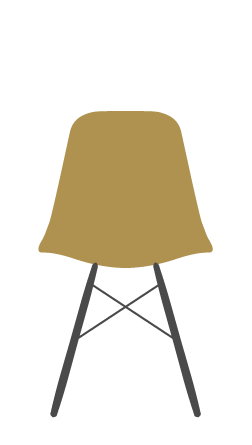 Today it stands as one of the most recognizable furniture designs of modern times. The alternative PSW was for the Pivoting (P) variant. The DSW has become one of the most desirable base types produced for the chair series, perhaps largely due to its attractive visual appearance that honed towards the home market as opposed to some which had more commercial applications. It wasn’t however always that way! 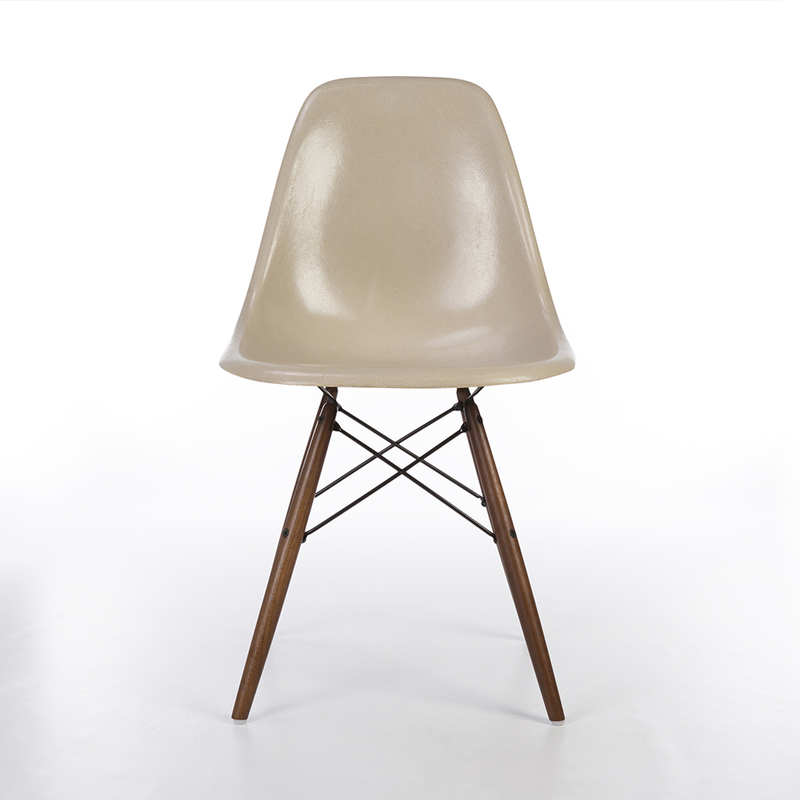 The base of the Eames DSW Side Chair was actually beset with problems and the design was abandoned even before the middle of the 1950’s. Due to the weight pressure travelling through wood (as opposed to metal) legs would splinter, or worse, crack and break. The number of returns was simply unacceptable and Herman Miller consigned the dowel leg base to archive! 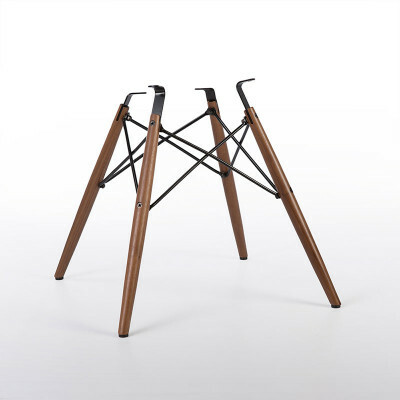 The DSW was one of the original bases of the plastic side chairs and was released as an option alongside the Eiffel DSR and the X-Base (DSX) four legged side chair. It wasn’t until the Herman Miller re-release of the plastic chair series in 2001 that the new age of the dowel leg base arrived! 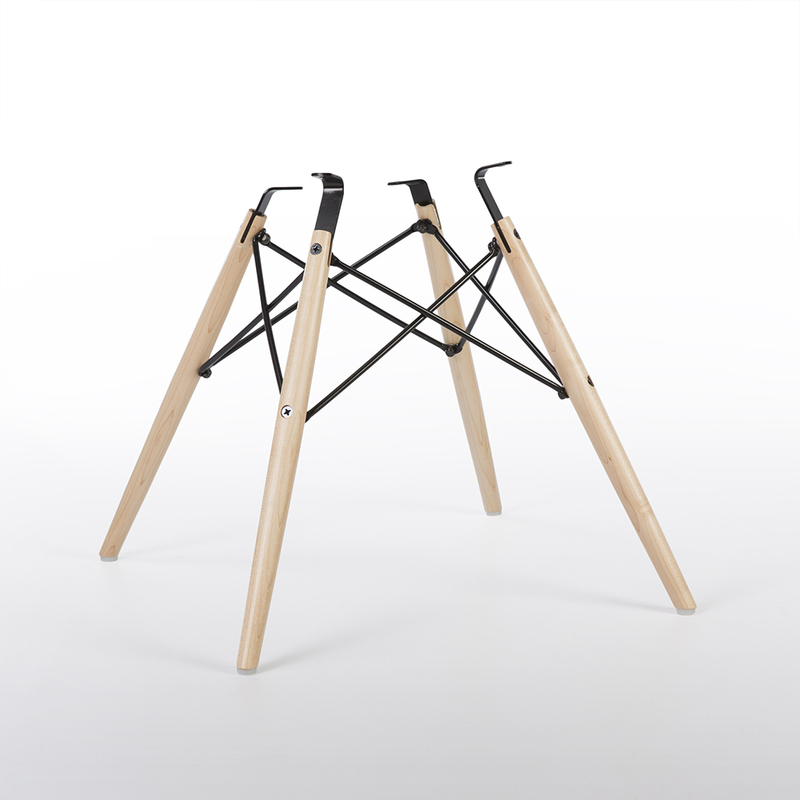 The new design would have metal rods through each dowel, thus providing maximum stability and strength. Since then the DSW has almost certainly become the number one favorite base for the chair series. 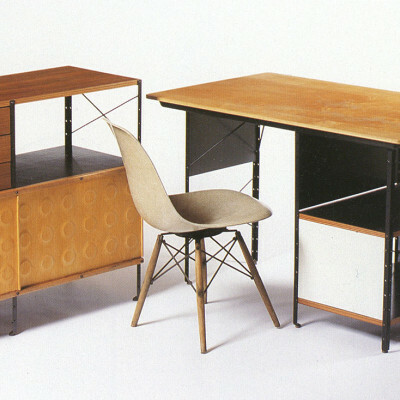 The corresponding arm chair version, the Eames DAW, also had a pivoting version of the chair called the PAW side chair. 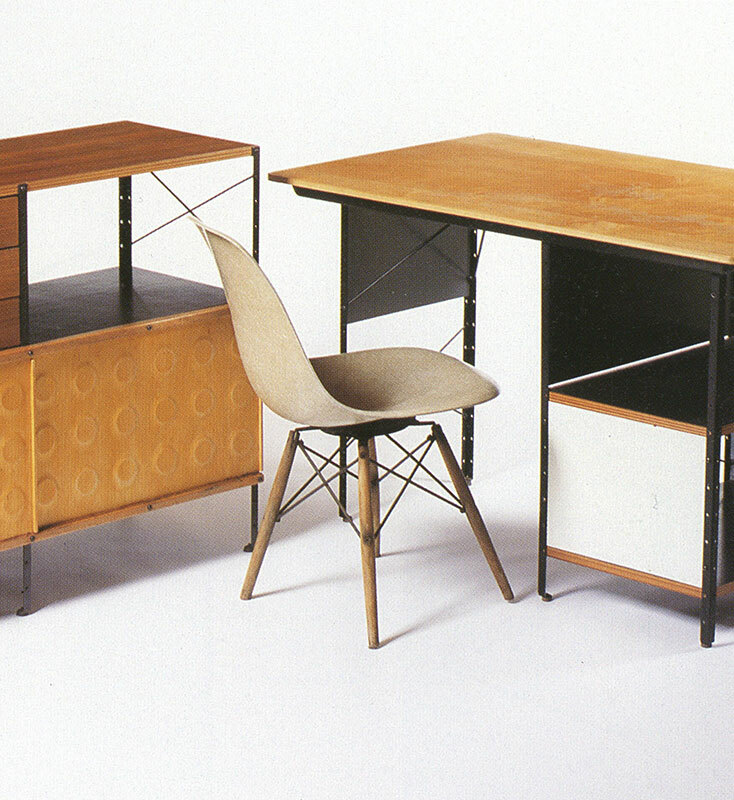 The DSW-1 was the early version with Alexander Girard detachable upholstery choices. The post 2014 release of new fiberglass DSW chairs include full upholstered and fiberglass choices. What are the sizes of the original Eames DSW Side Chair? 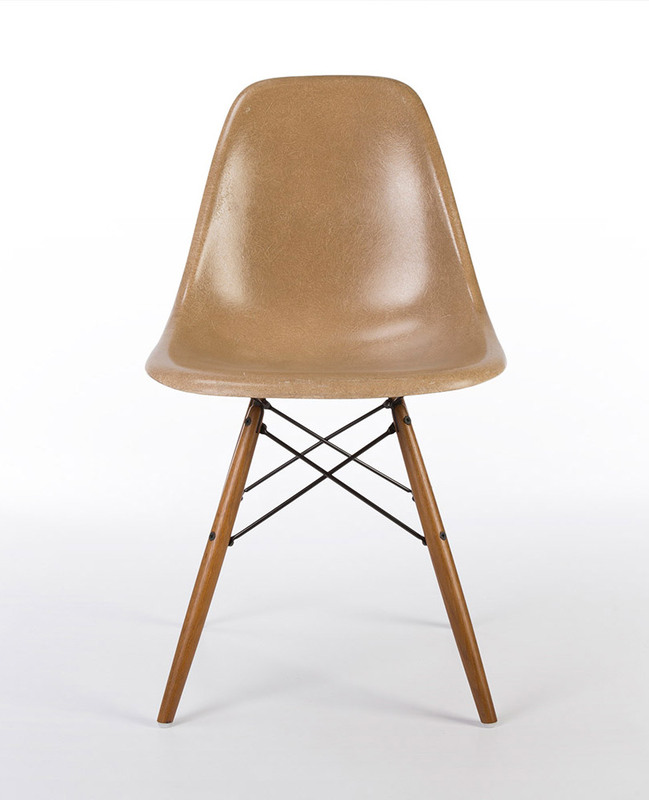 What materials were used to make the Eames DSW and PSW chairs? The very first DSW & PSW were only available in natural Birch or Walnut. The bases were made by Seng of Chicago, the pivoting PSW is stamped. The second generation (post 2001) re-issue bases offer greater strength and rigidity. 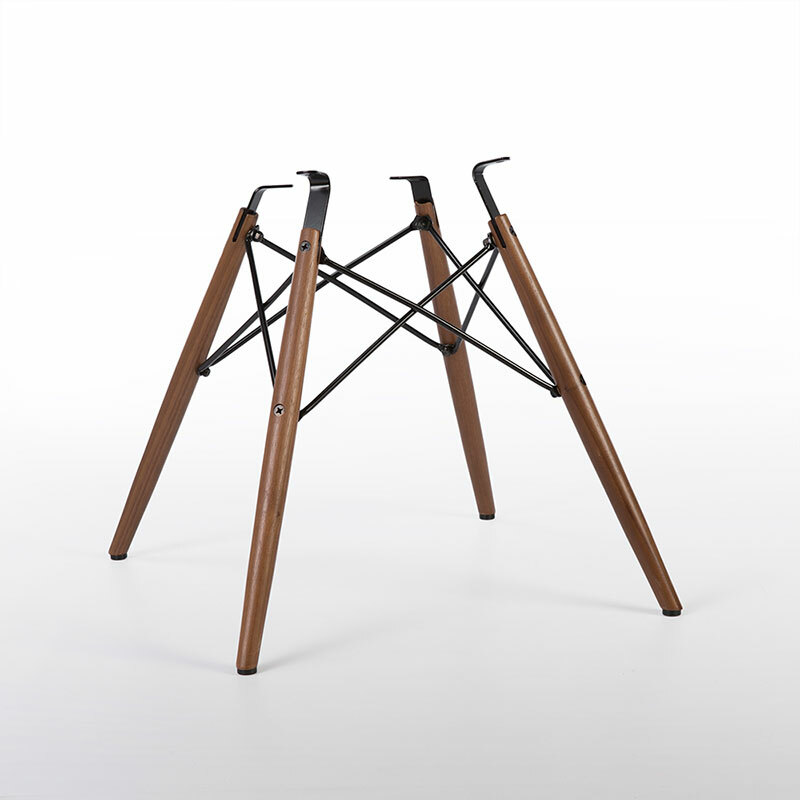 The later bases contain steel rods throughout the dowel legs making them heavy. No pivoting (PSW) base was made in the re-issue version. DSW Chair tops are found in multiple colors and all have identifying labels and stamps across all generations. Original PSW bases are marked with the maker (SENG) the DSW was not. The original bases were only made in Birch or Walnut, look for clear ageing of the wood. The DSW is the most highly copied base of the present era but most are lightweight and some use the Allen key bolts instead of screws. Post 2001 bases are super heavy with the metal dowel leg struts. Reproduction bases do not have this. 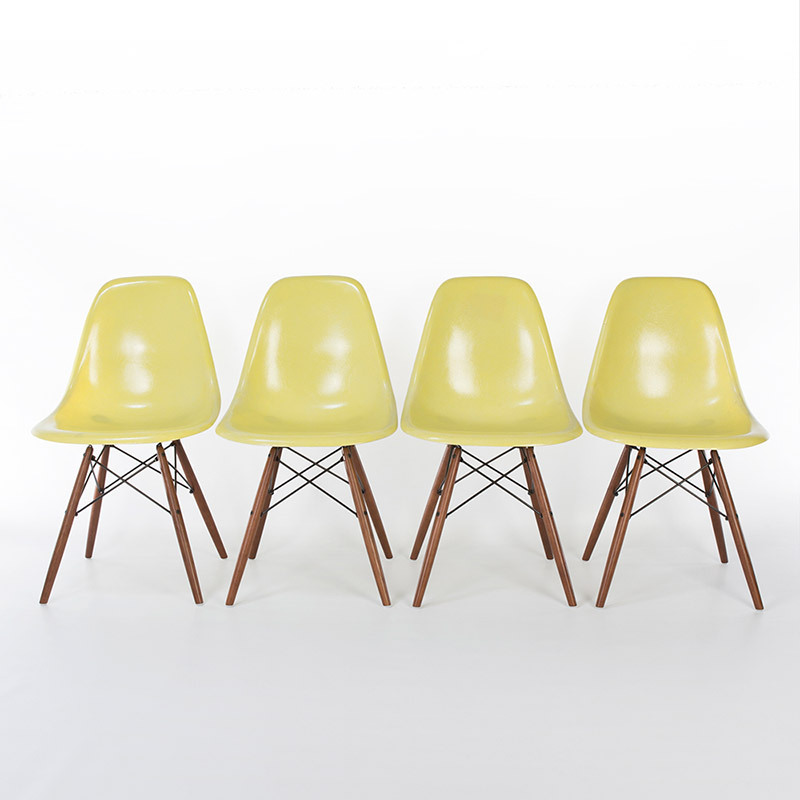 The highest value DSW chairs are those with surviving original bases from between 1951-1953. The Pivoting PSW in full working order has the highest material value. Check for re-welds and changes in screws and repairs of leg cracks. Replacement authentic (post 2001) heavy strut bases offer the second best market value as opposed to reproduction bases which hold very little. Always check shells for cracks and repairs, especially around the edges. Shell value is generally based on the rarity and desirability of the color. Remember that if a DSW chair is fully original it can only be in 1 of 6 colors.